Legislation was enacted in September 2008 to formalize a single Reentry Council for the City and County of San Francisco. 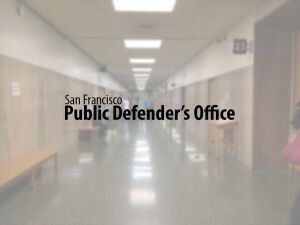 Efforts currently coordinated by the Safe Communities Reentry Council and the San Francisco Reentry Council will be reorganized under the single umbrella of the new formalized Reentry Council and its Subcommittees. The first meeting of the New Reentry Council has been slated for Tuesday June 16. The Mayor and Board of Supervisors are now soliciting applications from formerly incarcerated individuals to serve on the new Reentry Council. Seven members of the new Reentry Council must be former inmates of the San Francisco County Jail, a California Department of Corrections and Rehabilitation facility, and/or a United States Bureau of Prison facility. The Board of Supervisors will appoint 4 of these 7 members, and the Mayor will appoint the other 3 members. See http://sfreentry.com/reentry-council for complete instructions, application forms, and deadlines (the first of which is APRIL 17th).